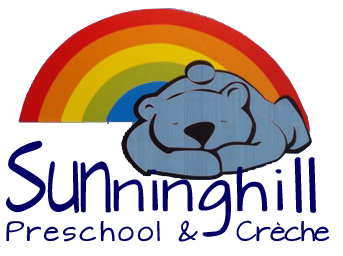 Sunninghill preschool & creche is registered. Established in 1997 our priority is the safety and wellbeing of our children. We offer a small, loving and nurturing environment in which children can grow, learn & flourish. We are located in a secure area with 24-hour security and within close proximity to Sunninghill Hospital. Sunninghill preschool & creche work with the integration of the Department of Education’s Curriculum and Assessment Policy Statement (CAPS) alongside Montessori principles. We are certified to care for 49 children. However, in the interest of keeping our environment calm and tranquil, we accept 15 children dependent on the personalities of the children in our care. Praesent id leo ex. Donec condimentum tincidunt metus at auctor. Nulla facilisis orci vitae ipsum volutpat pharetra. Proin eleifend lobortis nunc, in fringilla justo. Ut sollicitudin lacinia ex eget dapibus. Cras pharetra diam eu malesuada sagittis. Mauris eget ligula gravida, imperdiet ligula a, dictum ex.